There is a good reason that Berlin is receiving so much attention right now. Aside from the relatively cheap rents and burgeoning creative industries, it’s also a very spacious and relaxed city, with lots of fascinating history and myriad opportunities to slow down and get off the beaten track. But where to start? Well, there are numerous guidebooks of course, but before you go splashing your hard-earned cash, I’d recommend you start with some of the city’s wonderful blogs, where you can get insights into everything from food and design to fashion and history without spending a penny. 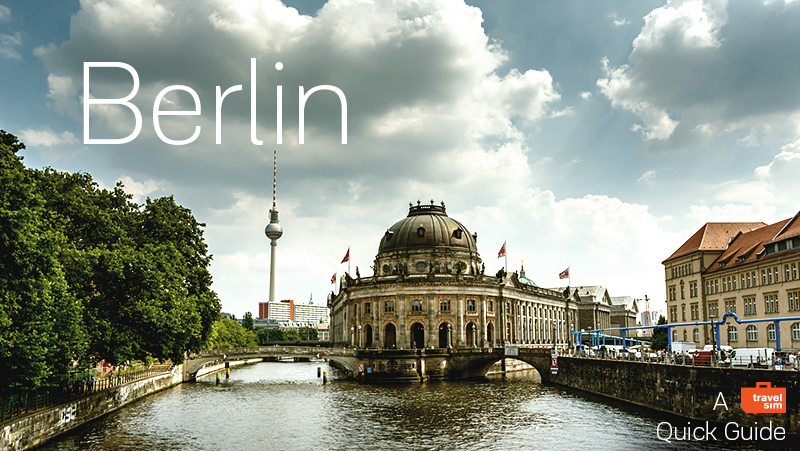 Slow Travel Berlin takes a comprehensive approach to exploring the city. Another website worth bookmarking is the Citties app, which brings some of the best Berlin bloggers together on one handsome and easy-to-use platform. Talking of apps there are some wonderful ones on the market that are cheap and/or free. History fans will love the free Berlin Wall app and perhaps the Historical Atlas Berlin too, while the lovely-to-use Parcview website (German only) has information on important historical monuments as well as parks and gardens. Marcellino’s Restaurant Guide has over 400 restaurants tips (for free). The FahrInfo Berlin is in English and will help you get around in the city. If you prefer print, then the monthly Ex Berliner magazine is one of the longest-running and reliable resources for events in English (and can be purchased from nearly 150 locations around the city). Public transport is cheap in the city, and the bike lanes are good. If you’re on a budget, I can certainly recommend renting a bike with Fat Tire Tours and taking advantage of all the free sights the city has to offer, from heavy-hitting memorials like the Topography of Terror, the former Stasi Prison, the Holocaust Memorial, and the former Nazi concentration camp Sachsenhausen to wonderful natural spaces such as the Tiergarten, the airport-turned-public-park Tempelhof, and Treptower Park with its imposing Soviet monuments.